London: Senior off-spinner Ravichandran Ashwin has been on a downward spiral in one-day cricket but India skipper Virat Kohli feels it's unfair to be critical of him given the challenges of bowling on flat decks in the format. Ashwin was taken to task by rookie Fakhar Zaman as he conceded 70 runs in 10 wicket-less overs in India's 180-run loss to Pakistan in Champions Trophy final Sunday night. 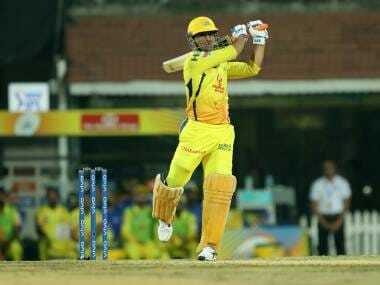 In fact, he got only a single wicket in three matches that he played, giving away 167 runs from 29 overs. The economy rate of less than six runs per over, keeping in mind the current ODI rules, is not an issue. 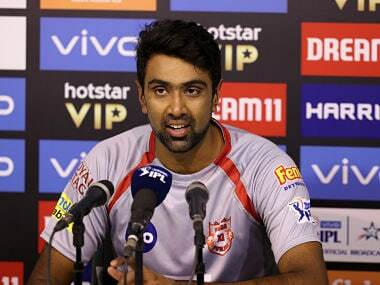 But for someone, who is a different beast with the red ball, Ashwin is not bowling enough wicket-taking deliveries. A testimony to that is a haul of only 9 wickets in his last 10 ODIs across two years. Asked if Ashwin needs to revisit his plans due to poor his ODI record in recent times, Kohli was ready to bat for his senior-most spinner. "Every spinner has challenges on flat decks and every spinner could go for runs. Especially on wickets like these, where if a batsman gets going, it really becomes difficult for the spinner and people are slogging across the line and getting away with it," Kohli reasoned. "You can't really do much as a spinner because you are making them play where you want to play, but still, they are executing those shots," Kohli tried to explain the helpless feeling that his spinner went through bowling to a marauding Zaman. For the skipper, it is more important for a bowler to know if he is making the batsman play according to his plans. "It is not humanly possible to not concede boundaries and sixes. You have to understand whether you made the batsman hit where you wanted him to hit and take a risk, or you have bowled a bad ball. I think that's the only analysis a person needs to do and nothing more," the skipper elaborated further. He emphatically defended his decision to play two spinners despite them going for 147 runs in 18 overs during the second Powerplay. 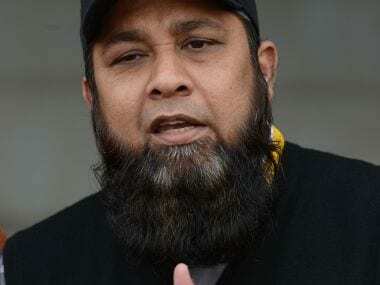 "We created a combination after the loss against Sri Lanka. We didn't want to be too predictable from there on in the tournament and two spinners together did a good job for us." "I have no regrets in playing the combination that we played today, and we have stuck to the same ever since we lost to Sri Lanka. So I have no feelings otherwise about the combination," Kohli stuck to his guns. For the better part of the tournament, the team showed composure, assessed the skipper. "We have shown the composure in pressure situations more often then not in this tournament, but that is no guarantee that you are going to do it every time. Obviously, your best effort is to try and do it every time, but cricket is not about doing well in every game that you play." "You will have failures, and one team has to lose on the day, and today was our day to lose because the opposition played much better than us," he admitted. The top three batsmen failed together and no wonder, the captain was disappointed. "Yeah, it's always a bad feeling when you get out or the batting doesn't work collectively, and everyone feels bad about not having contributed to the team in any way. 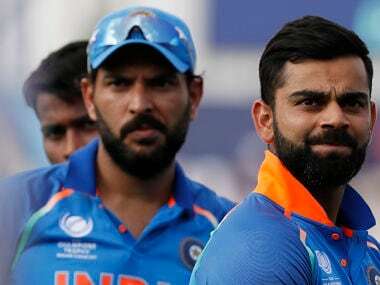 "So yeah, I also felt the same kind of emotions, but you know, you have played enough to understand that your job is done, you tried your best, and then you can't control anything afterwards," Kohli lamented. The losing captain, however, was gracious enough to applaud the performance of the Pakistan team. "In the end, you know, you have to accept and admire sometimes the skill of the opposition, as well, and see that, you know, they also have come to win a game of cricket." "Not that we are not playing at our best; we tried our level best, but we just couldn't make things happen today. But personally, yes, it does feel bad," he concluded.